When a customer leaves Paydirt, the first thing I do is offer a full refund. We advertise that refunds are available “if you’re not happy”, but most customers are pretty surprised when I email them to suggest it. I noticed you stopped your Paydirt subscription, so I’m getting in touch for a couple of reasons. I’d really like to know why Paydirt didn’t work out for you. We’re always working to improve our product, so your feedback would be really helpful. If Paydirt let you down in any way, it’s our policy to offer a full refund. If you’re not happy, we’re not happy. You can’t expect a customer who’s just walked out the door to be particularly interested in spending their time chatting to you about your product. 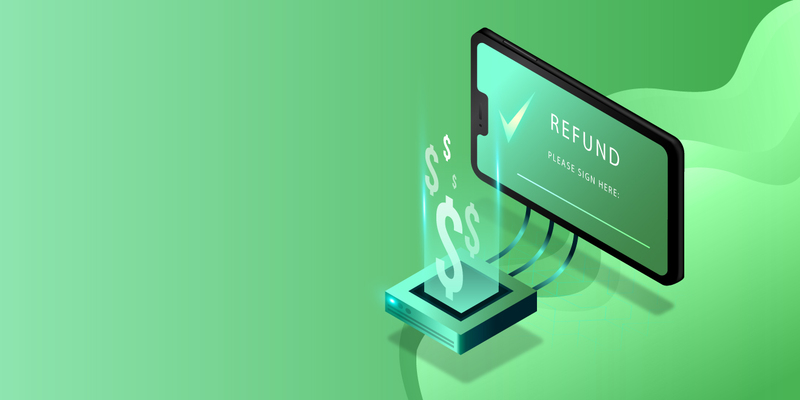 Offering a refund shows that we’re truly interested in finding out what their experience was like – we’re not just trying to change their mind. Asking for feedback alone I rarely got a reply. Now I have fantastic and detailed conversations with customers about their needs, what they thought about our product and what they think we should improve. Customers who have been using Paydirt for a while usually don’t accept the offer. They’re usually leaving because they’ve stopped freelancing, or are taking a break. That’s important information – now I know how many of our churned customers are leaving due to dissatisfaction and how many are leaving because their needs changed. Those that do express dissatisfaction usually decided that it wasn’t the right fit for them pretty early on, so there’s not a lot of money to refund anyway. Feedback from somebody who decided to pay you and then changed their mind is some of the highest potency feedback you can get. These are people who almost bought what you’re selling, and can tell you why they didn’t. It’s worth paying for, so pay for it if you need to. Mending a bad experience often seems to make people happier than not having a bad experience in the first place. Ever fix a bug really quickly for somebody and have them go crazy with gratitude? Being downright reasonable and helpful takes people by surprise. It’s great. Refunding somebody’s money, or even just offering to, can turn somebody’s poor experience around. Usually the conversation ends with the customer asking me to get in touch if we make the change they requested, and thanking me for the parts of the product that did work well for them. They even refer their friends. We’re not in business to trick people into giving us their money. We think if you treat your customers fairly and honestly they’ll do the same. When you provide value, they’ll happily pay you for it, and when you didn’t, offer to give them their money back.